San Diego surfers are known for saying, "You're not alive unless you're west of the 5," referring to the notion that if you are east of the I-5 Interstate, you're too far away from the west coast waves. In recent years, the same sentiment was true for real estate values west of Broadway. The popular neighborhoods of Newlands, Wonderland Hill and Chautauqua were all held in high regard for their close proximity to Boulder's foothills and accompanying trail systems. Yet as Boulder's eastern side grows (think Boulder Junction, Boulder Hospital's New Campus, 29th Street Marketplace), access to these burgeoning urban centers is equally important to many residents. And with that in mind, Old North Boulder fits the bill. Prior to the early 1970s, Old North Boulder was simply referred to as North Boulder. As far-reaching developments such as Holiday and Dakota Ridge sprang up, what was once considered "north" became more "central," and the area was appropriately renamed. 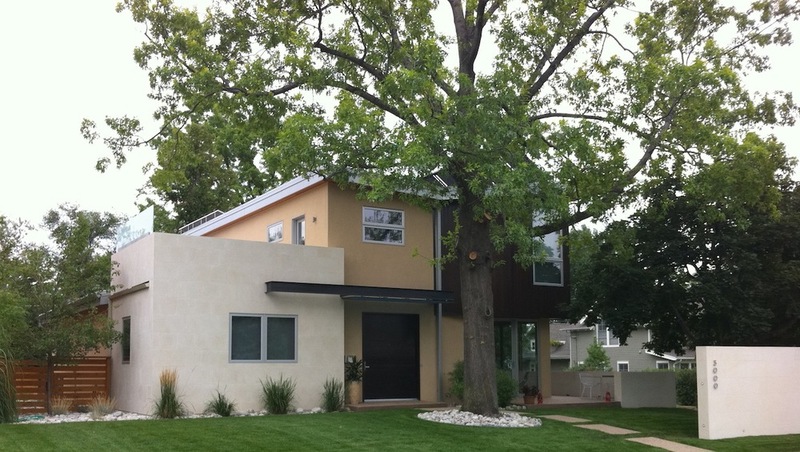 Now Old North Boulder is new again and becoming noted as a modernist neighborhood. Originally a 1950s tract home area full of ranch-style homes, new homes are steadily replacing the old stock. 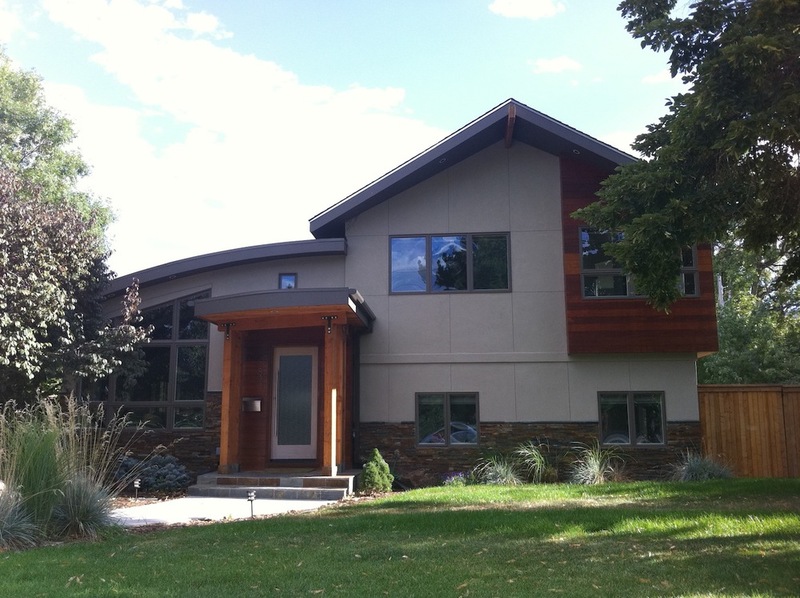 Changes range from new construction to pop-tops and complete renovations of existing houses. Green energy features play heavily in these designs: solar panels are commonly visible and unseen energy-saving features such geothermal heating and cooling systems and structural insulated panels (SIPs) are often used. The architect roster of these stunning homes reads like a who’s-who of Colorado architecture, with the likes of Nielsen Design, Workshop8, Kyle Callahan, Arch 11, Jim Logan, David Barrett and Jack Rudd architecture being represented. 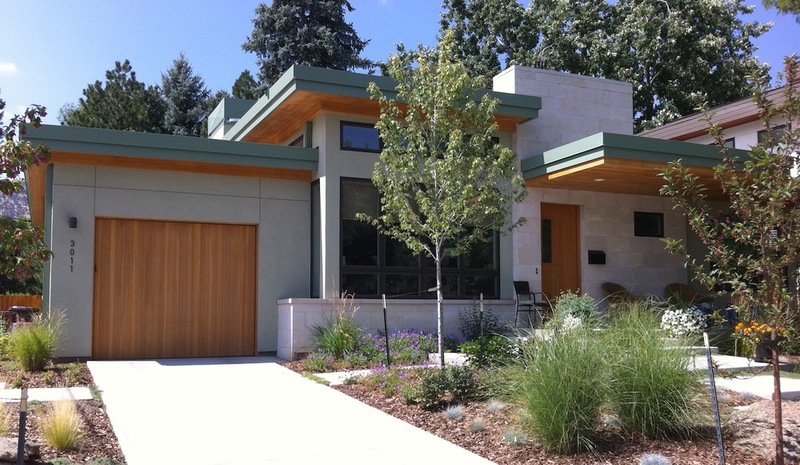 Additionally, the neighborhood is graced by the designs of one of Boulder’s most famous architects, Hobart Wagener. Wagener designed the Ideal Broadway Shops and Community Plaza Shopping Center in the late 1950s / early 1960s. With their distinct butterfly and curvilinear roof lines, they are mid-century modern at its best. Many of the existing original ranches possess classic modern 1950s rooflines. It's rare to have standing structures of this vintage lacking prior renovations. If you're looking for an opportunity to create your own atomic ranch, Old North Boulder is worth investigating.